The mysteries of the past always offer the charm of discovery or rediscovery of one’s own origins. The archaeological area of Grumentum, located downstream of the city of Grumento Nova, represents a treasure immeasurable value for this area, allowing visitors to walk through a real ancient town, on streets that perfectly preserve the original flooring that face the public and private buildings which formed the Roman city. 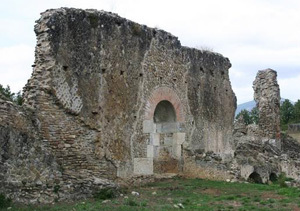 Furthermore, lovers of the ancient world will get more surprises from the Upper Val d’Agri area: in addition to visiting the city of Grumentum, they can find many other small archaeological areas nearby, living witnesses of a past still close and vital.